Curly girls of the world unite! Sixty-five percent of women have naturally curly hair, but for too long too many of these women have either been at a loss on how to care for their hair properly or, worse, have gone through life pretending they have straight hair. No more. Curls are definitely in - "Curl Up!" says Mademoiselle - and Lorraine Massey, a professional hairstylist and passionate proponent of curly hair, celebrates the curly girl way of life, from hair care to carefree attitude. Beginning with The Curly Girl's Twelve-Step Programme (Step Three: I will accept that the scalp and hair are two different entities with completely different needs, and I will treat them accordingly) CURLY GIRL is an illustrated how-to, support group and tongue-in-cheek manifesto all in one. There are tips on shampoo (never daily), conditioners (use lots), drying, combing (only when wet and well-conditioned), styling, getting the right cut and how to Heal Thy Hair after years of strong detergents and damaging blowdryers. There are before-and-after photographs, Curly Cues, self-help tests, confessions from curly girls, advice to take to your stylist. 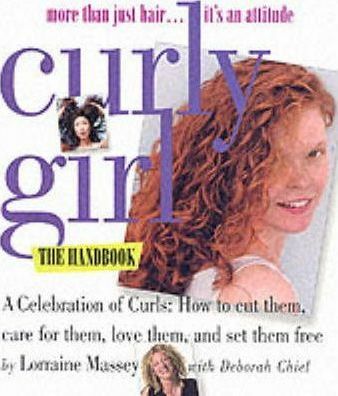 And for girls seeking their inner curl, compassion and encouragement to let their hair break free - and to put the fear of frizz behind them. Because from now on there's no such thing as a bad hair day.